The end of the Magic Spanner?? For those of you that have no idea what the magic spanner or its close relative the ‘sticky bidon’ are, its occurs when a rider drops out of the peloton, on the pretence of requiring an adjustment to brakes, cleats, cables, whatever, and catches a presumably well earned rest hanging on the team car. Here’s an example of an intrepid FDJ mechanic braving life and limb. Impressive core strength, young man. Its close cousin is where a rider seems take a very long time to secure their grip on a bidon ie 1 or 2 minutes, before taking a drink. ….which is just plain cheating. Nor is Richie Porte’s ‘wheelgate’ fiasco, which basically cost him any chance of maglia rosa in 2015. So, naughty, naughty, very naughty, which is no doubt why the UCI issued a reminder just before the 2015 Paris-Nice race and fined a couple of team a 1000 Swiss Francs. The article’s author seems to make great sport of team Sky who have a number of photos included in the article. Oh well……. As the sole rider on Team Marv I have to say that I want one of these magic spanners. I’ve had 3 punctures in 6 weeks and having a Team Marv support vehicle would be just awesome. 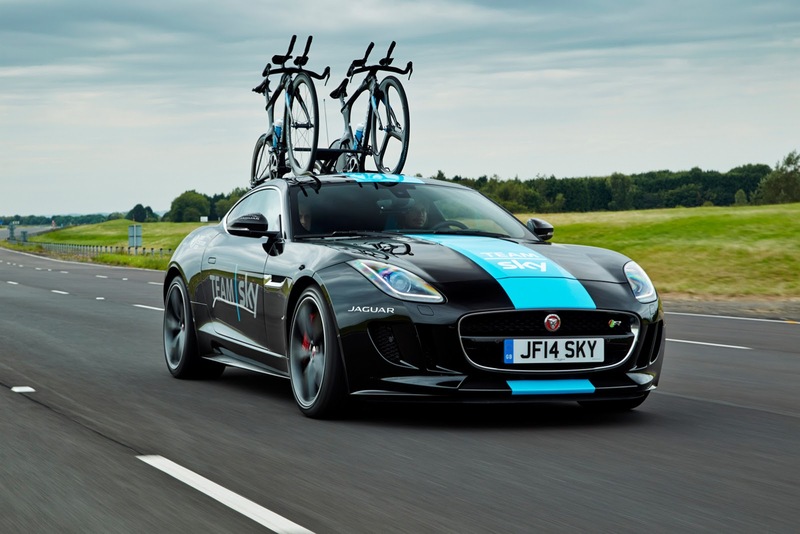 My personal pick would be the Team Sky jag that’s been going around in the ‘hot lap’ that’s been going round on SBS’s Bike Lane. This entry was posted in Grand Tour, Humour, Road Skills and tagged cheating, magic spanner, Richie Porte, sticky bidon, team sky, UCI on June 26, 2015 by Marv.